Draft: 2007, Philadelphia Phillies, 16th rd. Brian Patrick Schlitter…the Chicago native graduated from Maine South High School in Park Ridge, IL…played collegiately at the College of Charleston and became the eighth Cougar to reach the Major Leagues in 2010…was the first CofC player called up since the New York Yankees' Brett Gardner in 2008…originally selected by the Los Angeles Angels of Anaheim in the 34th round of the 2005 First-Year Player Draft out of Florida Gateway College, but did not sign. Spent the entire season at Triple-A Oklahoma City in the Los Angeles Dodgers organization where he went 7-2 with 21 saves and a 3.36 ERA in 58 relief appearances…surrendered just two home runs in 67.0 innings…the seven wins are his best as a minor leaguer and he had his fourth season with 20 or more saves…led the Pacific Coast League in games pitched and ranked second in saves…tied for ninth among all minor leaguers in saves…led the Los Angeles farm system in saves and was named a Dodgers organization All-Star by milb.com…converted 21-of-25 (84.0%) save opportunities…allowed a .256 opponents batting average, including .226 (36-for-159) against right-handed hitters compared to .303 (30-for-99) against left-handers…yielded a .220 batting average with runners in scoring position…opponents hit .296 with a .387 on-base percentage when leading off an inning…allowed 3-of-15 (20.0%) inherited runners to score…compiled a 2.70 ERA in 35 games before the All-Star Break, a 4.56 ERA in 23 games after the break…posted a 2.43 ERA in 31 games at home, a 4.28 ERA in 27 contests on the road…tossed at least one inning in 52 of his 58 appearances. OKLAHOMA CITY: Did not allow a run in 11 of 12 games from April 12 to May 10…had eight saves, a 0.75 ERA and a .186 opponents batting average over that stretch…posted a 1.69 ERA in 10 appearances in April…logged a 4.76 ERA over a 13-game span from May 14 to June 15 and converted his only save opportunity…had a 42-game, 50.1-inning homerless streak from May 18 to Sept. 1…tossed a season-high 2.0 innings May 20 against Nashville, his first of eight outings of two innings…allowed a season-high four hits May 24 at Memphis (also June 23 at Omaha)… stranded each of his final 11 inherited runners beginning June 6…struck out a season-high three batters in 2.0 innings June 9 at Fresno…finished June with a 1.96 ERA in 12 appearances…went 2-0 with four saves over a six-game stretch from July 7 to 24…walked a season-high three batters July 17 at New Orleans…surrendered a season-high five runs in 0.1 innings Aug. 11 against Memphis…compiled a season-high 6.2-inning scoreless streak from Aug. 14 to 26…had a loss and a blown save in two postseason appearances for the Dodgers (1.0 ip, 5 h, 3 r, 3 er, 27.00 ERA). Brian broke camp with the Cubs, and spent a majority of the year with the club ... went 2-3 with a 4.15 ERA (26 ER/56.1 IP) and 12 holds in 61 games...Was his first major league action since making seven relief outings for Chicago in 2010...His 61 games pitched ranked fourth on the club...Retired 43 of 61 first batters faced...Stranded 25 of 40 inherited runners...Held the opponent scoreless in 48 of his 61 outings...Allowed just two home runs in 242 batters faced...Had a 2.98 ERA (14 ER/42.1 IP) in 43 games prior to the All-Star break...Had a 7.71 ERA (12 ER/14.0 IP) in 18 games in the second half...Posted a 1.99 ERA (5 ER/22.2 IP) in 26 relief appearances against N.L. Central opponents...Tied a career-high with 2.0 innings pitched three times, turning in scoreless appearances each time: May 13 in St. Louis, June 1 in Milwaukee and June 6 vs. Miami...Recorded a 15.1 scoreless innings streak, May 12-June 6 ... held opponents to a .118 batting average (6-for-51)...Made his first career Opening Day roster and pitched in six games before he was optioned to Iowa, April 12...Recalled, April 26...Earned his first career victory, May 3 vs. St. Louis (3-0)...Retired his lone two batters faced to end the sixth inning...Recorded his first career hit, June 1, in Milwaukee - a single off Kyle Lohse...Landed on the 15-day disabled list, August 10 (retroactive to August 9), with right shoulder inflammation...Made four rehab outings between Rookie League Mesa and Iowa before he was activated and optioned to Iowa, August 24...Recalled to Chicago, September 2 ... pitched in eight games for the Cubs to end the season, allowing seven earned runs in 7.0 innings...Had no record with three saves and a 3.38 ERA (3 ER/8.0 IP) in seven relief appearances with Iowa. Went 1-6 with an organization-best 22 saves and a 2.42 ERA (17 ER/63.1 IP) and 58 strikeouts in 54 relief appearances between Double-A Tennessee and Triple-A Iowa ... Began the season with the Smokies, going 0-2 with two saves and an 0.83 ERA (2 ER/21.2 IP) in 16 relief appearances ... Did not allow an earned run in his first 12 appearances at Tennessee (17.1 IP) ... Worked a season-high tying 2.2-scoreless innings twice: April 22 vs. Montgomery and May 10 vs. Birmingham ... Promoted to Iowa, May 27 … went 1-4 with 20 saves and a 3.24 ERA (15 ER/41.2 IP) in 38 games ... Limited Triple-A right-handed hitters to a .222 batting average (18-for-81) with 28 strikeouts ... Converted 18-straight save opportunities, June 8-August 22. In his first action since the 2010 campaign, Brian went 3-5 with a 2.61 ERA (20 ER/69.0 IP) in 50 relief appearances between Single-A Daytona and Double-A Tennessee ... Allowed just three home runs while walking 13 and striking out 63 hitters in 69.0 innings of work ... Started the year with Daytona, going 0-1 with two saves and a 2.00 ERA (6 ER/27.0 IP) in 21 games over two stints with the club ... promoted to Tennessee, May 1 ... Limited right-handed hitters to a .216 batting average (19-for-88) compared to a .320 mark (24-for-75) vs. lefties at Tennessee ... Finished the campaign with a 10.2-scoreless innings streak (six games) from August 17-September 2. Missed the entire season with an injured right elbow ... 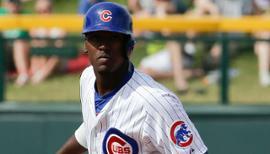 Claimed off waivers by the Yankees, January 5, then again by the Phillies, February 15 … was returned to the Cubs and placed on the 15-day disabled list, March 22, with a right elbow strain. Brian was selected from Triple-A Iowa, June 26, and went 0-1 with a 12.38 ERA (11 ER/8.0 IP) in seven relief appearances for Chicago...made his big league debut, June 28 against Pittsburgh, striking out both batters he faced...Was placed on the disabled list July 7 (retroactive to July 3) with right shoulder impingement...made three rehab appearances with Iowa and did not allow an earned run in 3.1 innings pitched...activated from the 15-day disabled list, July 23, and optioned to Iowa, August 3...With Triple-A Iowa this season, went 2-1 with 13 saves, a 3.15 ERA (16 ER/45.2 IP) and 42 strikeouts in 37 relief appearances...Converted 13 of 16 save opportunities at Iowa before he was placed on the disabled list August 25 with a right shoulder injury...reinstated, September 7. Spent the entire season with Double-A Tennessee, going 1-7 with a career-high tying 22 saves and a 4.38 ERA (30 ER/61.2 IP) in 59 relief appearances ... Struck out 51 hitters while walking 24 in 61.2 innings of work ... Set career-highs in games, losses and games finished (47) ... Held right-handed hitters to a .211 batting average (27-for-128) while lefties hit .318 (35-for-110) ... Recorded seven saves while posting a 1.93 ERA (3 ER/14.0 IP) with 14 strikeouts in 14 August games. Began the season in the Phillies organization before being acquired by the Cubs in an August deal … all told, went 4-4 with a 2.21 ERA (14 ER/57.0 IP) in 41 relief appearances between the two organizations ... Recorded a career-best 67 strikeouts while walking just 24 hitters in 57.0 innings of work ... Acquired by the Cubs from Philadelphia, August 7, for left-handed pitcher Scott Eyre ... Went 0-1 with a 2.16 ERA (2 ER/8.1 IP) in seven relief appearances after the trade with Single-A Daytona. In his first pro baseball season, Brian went 0-1 with a 3.51 ERA (10 ER/25.2 IP) in 17 relief appearances with Single-A affiliates Williamsport and Lakewood. 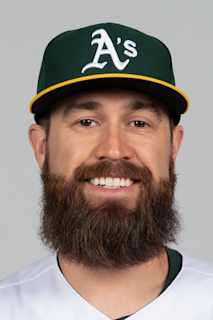 January 24, 2019 Oakland Athletics signed free agent RHP Brian Schlitter to a minor league contract and invited him to spring training. January 24, 2019 RHP Brian Schlitter assigned to Las Vegas Aviators. November 2, 2018 RHP Brian Schlitter elected free agency. April 5, 2018 RHP Brian Schlitter assigned to Oklahoma City Dodgers. February 24, 2018 RHP Brian Schlitter assigned to Los Angeles Dodgers. October 26, 2016 Albuquerque Isotopes released RHP Brian Schlitter. 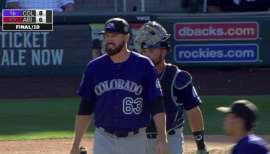 June 4, 2016 Albuquerque Isotopes activated RHP Brian Schlitter from the 7-day disabled list. April 20, 2016 Albuquerque Isotopes placed RHP Brian Schlitter on the 7-day disabled list. November 28, 2015 RHP Brian Schlitter assigned to Albuquerque Isotopes. November 18, 2015 Colorado Rockies signed free agent RHP Brian Schlitter to a minor league contract and invited him to spring training. October 14, 2015 RHP Brian Schlitter elected free agency. September 1, 2015 Chicago Cubs sent Brian Schlitter outright to Iowa Cubs. August 27, 2015 Chicago Cubs designated RHP Brian Schlitter for assignment. June 16, 2015 Chicago Cubs optioned RHP Brian Schlitter to Iowa Cubs. June 14, 2015 Chicago Cubs recalled Brian Schlitter from Iowa Cubs. May 18, 2015 Chicago Cubs optioned RHP Brian Schlitter to Iowa Cubs. May 16, 2015 Chicago Cubs recalled Brian Schlitter from Iowa Cubs. April 27, 2015 Chicago Cubs optioned RHP Brian Schlitter to Iowa Cubs. April 10, 2015 Chicago Cubs recalled Brian Schlitter from Iowa Cubs. April 1, 2015 Chicago Cubs optioned RHP Brian Schlitter to Iowa Cubs. September 2, 2014 Chicago Cubs recalled Brian Schlitter from Iowa Cubs. August 24, 2014 Chicago Cubs optioned RHP Brian Schlitter to Iowa Cubs. August 22, 2014 Chicago Cubs sent RHP Brian Schlitter on a rehab assignment to Iowa Cubs. August 21, 2014 Chicago Cubs sent RHP Brian Schlitter on a rehab assignment to AZL Cubs. April 26, 2014 Chicago Cubs recalled RHP Brian Schlitter from Iowa Cubs. 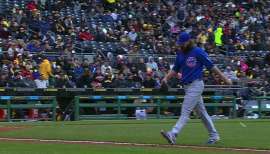 April 12, 2014 Chicago Cubs optioned RHP Brian Schlitter to Iowa Cubs. March 30, 2014 Chicago Cubs selected the contract of Brian Schlitter from Iowa Cubs. January 24, 2014 Chicago Cubs invited non-roster RHP Brian Schlitter to spring training. May 27, 2013 RHP Brian Schlitter assigned to Iowa Cubs from Tennessee Smokies. February 25, 2013 RHP Brian Schlitter assigned to Chicago Cubs. July 24, 2012 Brian Schlitter assigned to Tennessee Smokies from Daytona Cubs. June 20, 2012 Brian Schlitter assigned to Daytona Cubs from Tennessee Smokies. 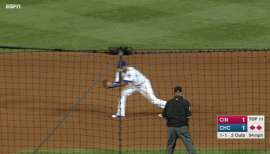 April 29, 2012 Brian Schlitter assigned to Tennessee Smokies from Daytona Cubs. April 3, 2012 Brian Schlitter assigned to Daytona Cubs from Iowa Cubs. October 4, 2011 Chicago Cubs sent Brian Schlitter outright to Iowa Cubs. September 29, 2011 Chicago Cubs designated Brian Schlitter for assignment. May 24, 2011 Chicago Cubs transferred RHP Brian Schlitter from the 15-day disabled list to the 60-day disabled list. March 30, 2011 Brian Schlitter roster status changed by Philadelphia Phillies. March 22, 2011 Chicago Cubs placed RHP Brian Schlitter on the 15-day disabled list. Right forearm strain. February 15, 2011 Philadelphia Phillies claimed Brian Schlitter off waivers from New York Yankees. February 14, 2011 New York Yankees designated Brian Schlitter for assignment. January 5, 2011 New York Yankees claimed Brian Schlitter off waivers from Chicago Cubs. November 30, 2010 RHP Brian Schlitter assigned to Senadores de San Juan. October 13, 2010 Chicago Cubs activated RHP Brian Schlitter. August 25, 2010 Brian Schlitter roster status changed by Iowa Cubs. August 3, 2010 Chicago Cubs optioned RHP Brian Schlitter to Iowa Cubs. July 23, 2010 Brian Schlitter roster status changed by Chicago Cubs. July 17, 2010 sent RHP Brian Schlitter on a rehab assignment to Iowa Cubs. June 26, 2010 Chicago Cubs selected the contract of RHP Brian Schlitter from Iowa Cubs. April 5, 2010 Brian Schlitter assigned to Iowa Cubs from Tennessee Smokies. March 12, 2010 Brian Schlitter assigned to Chicago Cubs. March 12, 2010 RHP Brian Schlitter assigned to Chicago Cubs. October 6, 2009 RHP Brian Schlitter assigned to Aguilas de Mexicali. June 9, 2007 Philadelphia Phillies signed RHP Brian Schlitter.